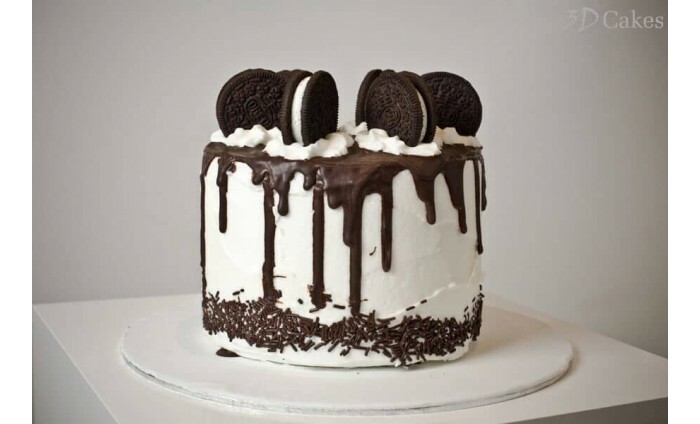 *What size of cake do you require? Choose from 13 Designs, as shown in the images above. Having a party or looking for a stylish centrepiece for a gathering or afternoon tea? Or do you love the current craze for all things unicorn? Our amazing new occasions cakes are the perfect solution! 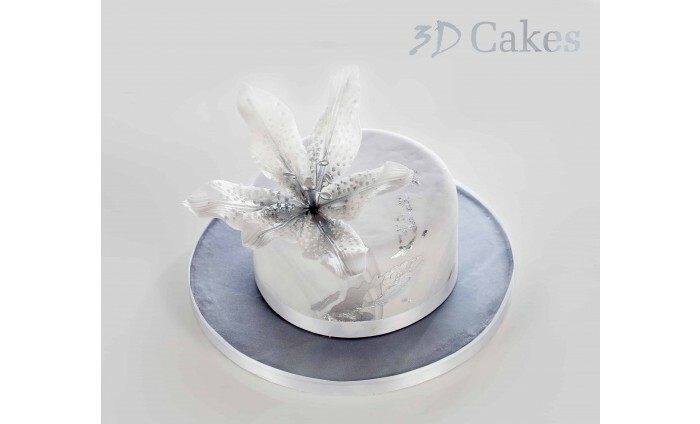 Catch this Amazing Offer - Occasions Cake for just £29 - Choice of 13 Designs! 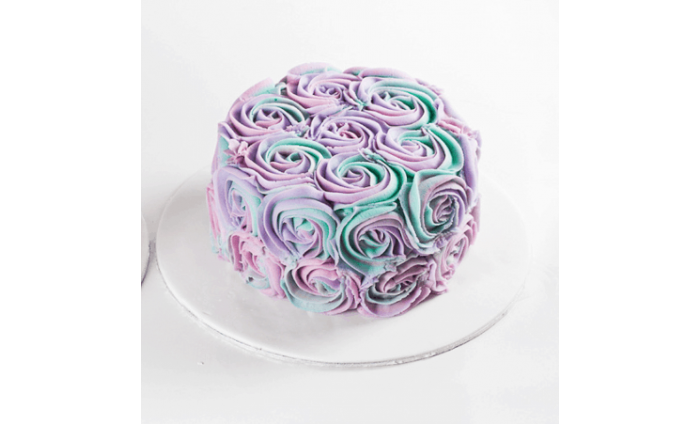 Our stylish new occasions cakes are ideal for any party. 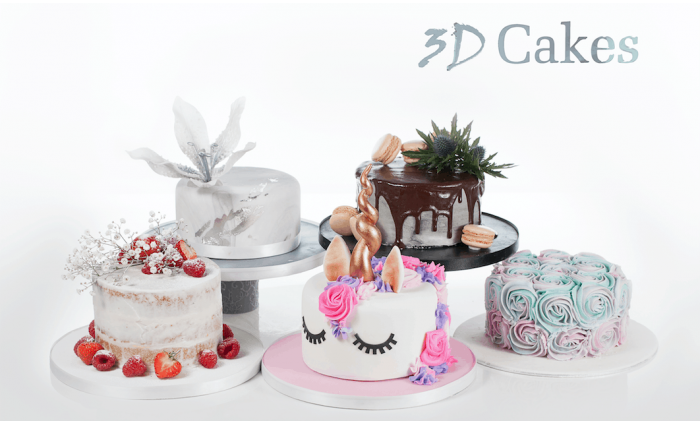 With a choice of 5 new designs, your scrumptious cake is sure to go down a treat. Choose from our elegant 'Semi Naked Cake' complete with delicious vanilla frosting, fresh seasonal berries and delicate baby's breath; our pretty 'Pastel Rose', piped in rose swirls in an array of pastel shades or our delightful 'Silver Touch', featuring a hand made sparkly silver asiatic lily and silver leaf detailing. 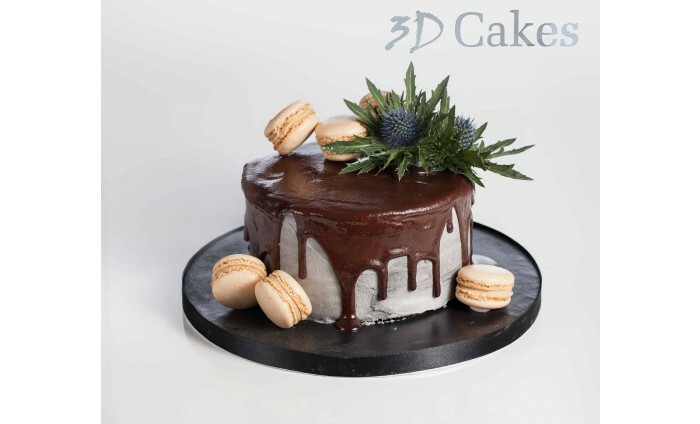 Or why not opt for our contemporary 'Chocolate Thistle Drip', coated with a grey marbled frosting, topped with 'drip effect' dark chocolate, and finished with a fresh thistle and striking black iced board. If unicorns are your thing, our 'Unicorn Sparkle' is the perfect choice. This fabulous design features a delightful hand-piped mane and includes a striking gold handmade horn. Our original 8 designs are also still availabe with this offer! 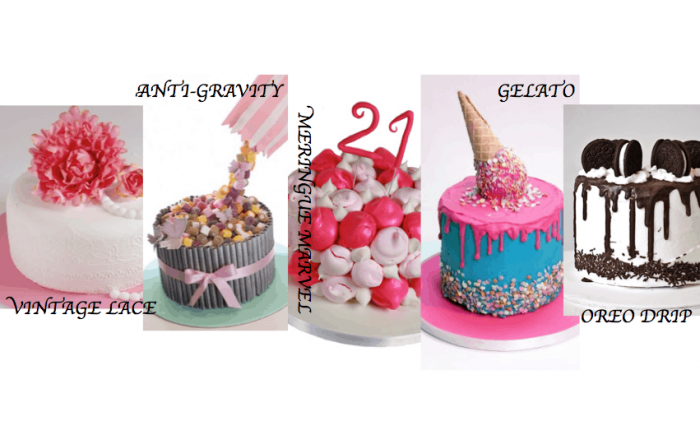 For a striking meringue treat, try one of our 'Meringue Marvel' Cakes, in a choice of Chocolate & Vanilla, Pink & Vanilla or Rainbow colour themes. 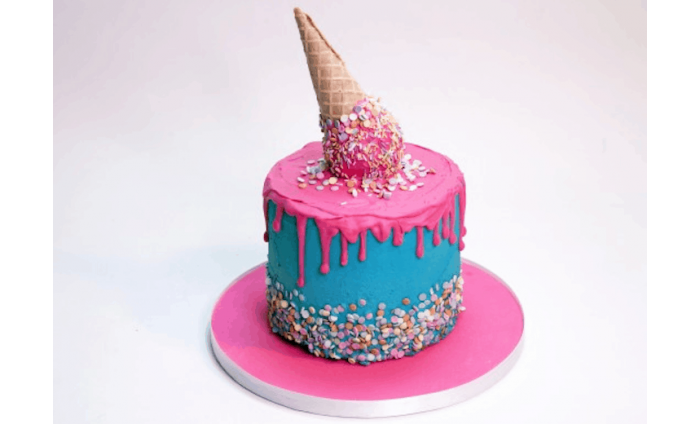 Or for a stylish on-trend drip cake, choose from our splendid 'Oreo Drip', featuring a dark chocolate drip effect with Oreo cookie toppings or our spectacular 'Gelato Ice Cream Design', complete with bright sprinkles and a dramatic hot pink drip effect over a turquoise backdrop. 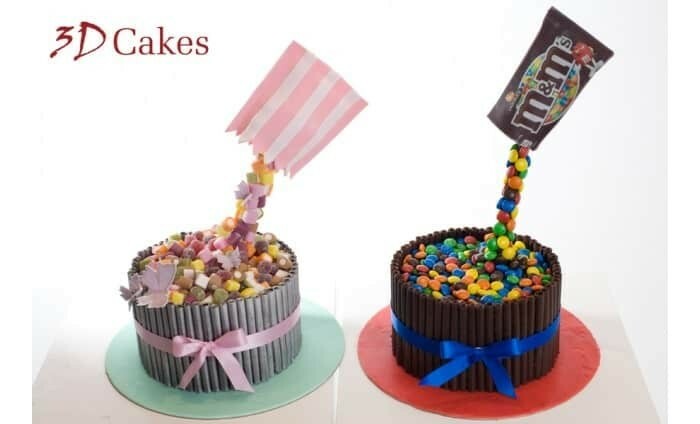 If you would like an eye-catching design starring your favourite sweet treats, why not opt for our 'M&M Anti-Gravity Cake' or 'Dolly Mixture Anti-Gravity Cake'? Or for a delicate vintage theme, our 'Vintage Birthday Cake' with lace detailing, sugar peony & rose toppers, and a trail of handmade fondant pearls is the perfect choice. 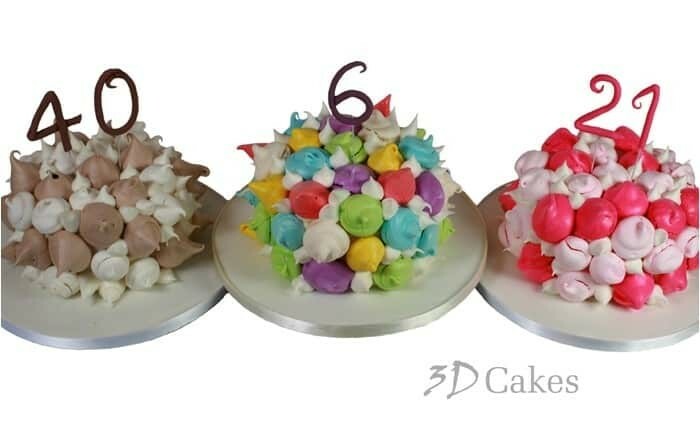 Your designer occasions cake comes in a choice of Toffee, Chocolate or Vanilla sponge and a 6" design will provide 16 portions. If you require more portions, why not upgrade the size to an 8" (25 portions) or a 10" (44 portions). Available for collection from either our Edinburgh or Glasgow store. Delivery now available anywhere in mainland Scotland for a surcharge of £30. 3D Cakes have been honoured to create a cake for HM The Queen in December 2017. Twice VOWS award winner, The Scottish Wedding Awards Winner 2014, 2015, 2016 and now regional winner 2018! Available for collection only from Edinburgh or Glasgow city centre stores, delivery not available with this voucher. Once you have purchased your voucher we will email you with an online code. We'll email you a link to the booking page, then simply pop online and select your cake. 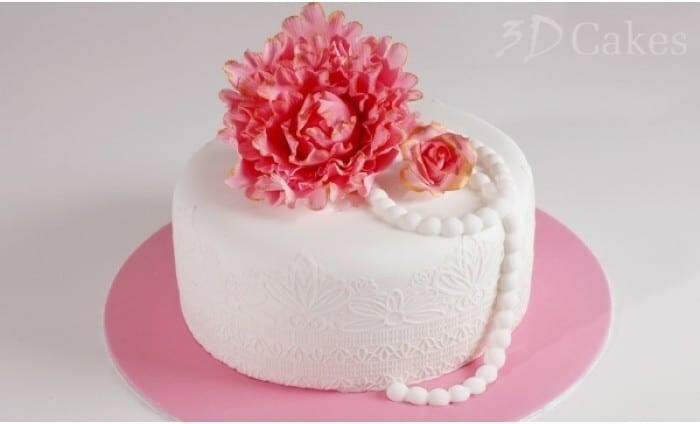 3D Cakes team, headed by David Duncan, a multi award-winning cake designer, are THE name in the world of baking. 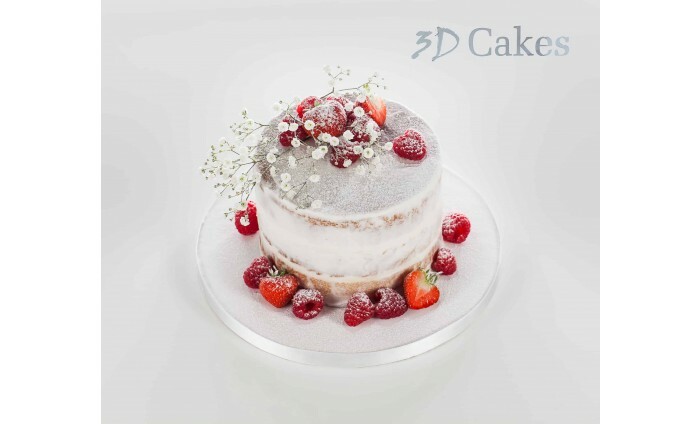 With their original shop in Edinburgh’s Murrayfield, 3D Cakes expanded to the Italian Centre in Glasgow’s Merchant City, to great success. Fill out the booking form with the coupon code from your purchased voucher. Gluten Free or Dairy Free option available for a surcharge of £25. Delivery available anywhere in mainland Scotland for £30 surcharge. Voucher valid for 1 year. Stores open Tuesday - Saturday. Closed Sunday and Monday. 3 Delicious flavours to choose from, Vanilla, Chocolate or Toffee. Valid for designs shown in images above only. 10 Day notice required - For booking with under 10 days notice a £10 late booking fee will be incurred. Easy online booking with purchased voucher. 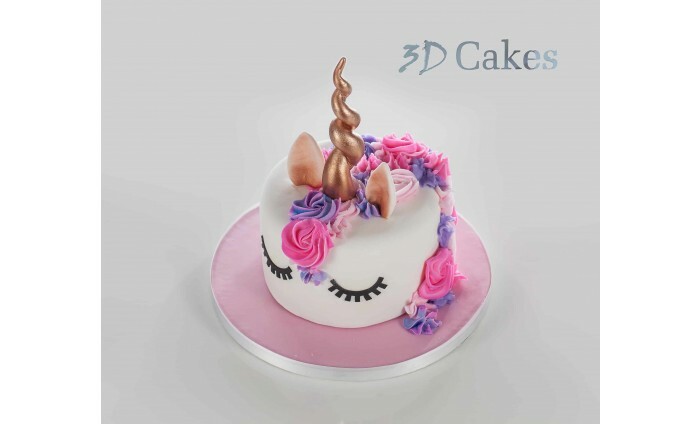 3D Cakes Edinburgh (0131 337 9990), 3D Cakes Glasgow (0141 378 0026). Purchased Vouchers are emailed to you within 24 hours. Then simply pop online with you voucher to book.